Polycystic ovary disease also known as Polycystic ovary syndrome that affects mostly reproductive system of females at the age of 15-45 years. It is an endocrine abnormality in which hormonal imbalance occurs and causing many menstrual disorders. In some cases abnormalities lead to female infertility. That’s why polycystic ovaries treatment is very much necessary. PCOS is categorized as the formation of different types of cyst on both ovaries, may be on one ovary in some cases. As a result, the ovaries become enlarged and develop excessive amounts of estrogen and androgen hormones. These symptoms lead towards the absence of ovulation and causes infertility, growth of extra body facial hairs, acne, obesity and insulin resistance. Live chat with us for more information..!!! There is no cure for this disease, but there are many procedures which can eliminate or decrease the symptoms of the POCS. 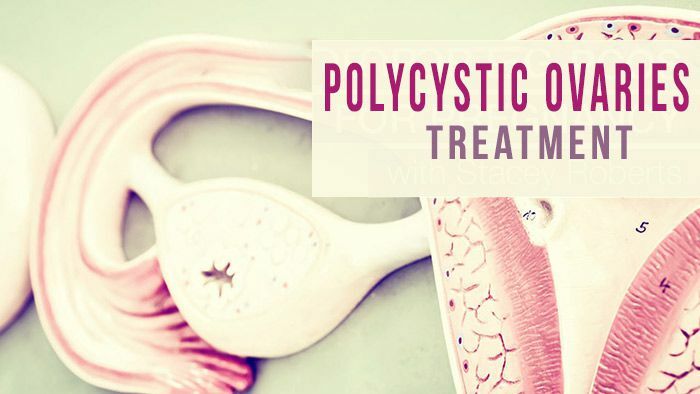 The gynecologist in Lahore offer different types of medicines which can treat polycystic ovaries after the isolation of proper symptoms such as excess hair, elevated blood sugar, irregular periods and acne. The polycystic ovaries treatment and fertility treatment is now available to provide help to women in getting pregnant. PCOS treatment mainly focuses on the managing policy about individual concerns such as acne, obesity or hirsutism and infertility. Gynecologists recommend weight loss therapy with the help of a low calorie diet plan with moderate exercise activities. Even a minor decrease in the weight, might improve the patient’s condition. Such as losing 5% of the body fat. Decreasing weight can also increase the efficacy of medications. Gynecology expert recommends all these conditions for PCOS and helps to improve infertility. For the regulation of menstrual cycle, medical expert recommends a combination of different birth control pills. These pills contain progestin and estrogen hormone which decreases the androgen production as well as regulate estrogen. These pills also regulate the hormones of the body which can lower the risk of cancer growth, also balance the abnormal vaginal bleeding, acne and excess hair growth. Instead of using pills, a patient can also use vaginal ring or skin patch that contains different combinations of progestin and estrogen therapy. Intake of progestin for ten to fourteen days after every two months can also regulate the periods as well as protect endometrial cancer. The progestin therapy for polycystic ovaries treatment improves the androgen level, but do not prevent pregnancy. The progestin is just a minipill but intrauterine device is more best choice as compared to minipills, in case if you want to avoid pregnancy. Clomiphene (Clomid): This oral anti-estrogen tablet is taken during the first part of the patient’s menstrual cycle. Letrozole (Femara): This breast cancer cure can work to stimulate the ovaries. Metformin (Glucophage, Fortamet, others): This oral medication for type 2 diabetes type 2 recovers insulin resistance and lowers insulin levels. If you don’t become pregnant using clomiphene, your doctor might recommend metformin. If you have pre-diabetes, metformin can also slow the progression to type 2 diabetes and help with weight loss. Gonadotropins: These hormone medications are given by injection. For more information live chat with us…!! !